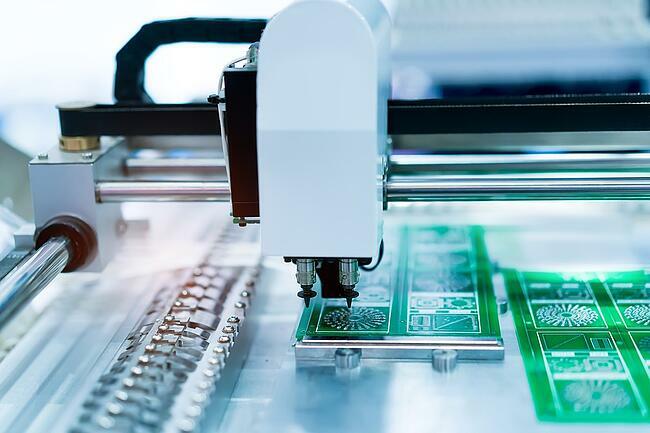 The benefits of having engineering support on your electronics manufacturing project revolve mostly around improved response times and reliability. When you increase response time and reliability with engineering support, you decrease your timeline, budget risks, and improve the overall return on investment of your project. When it means increasing your bottom line, you know it’s time to look carefully at having engineering support on your next electronics manufacturing project. When it comes to expertise, more is more. If you can have more experience and knowledge on your project, the better it is going to be. When you’re looking at ECM engineering support, you’re adding expertise that not only knows how to design your project, but it also knows how to improve the project’s efficiency through the manufacturing process and beyond. A good electronic contract manufacturing partner with solid engineering support will be able to handle your electronic and mechanical design builds. Further, this level of engineering support should include design for manufacturing analysis, which will substantially lower your risk for manufacturing errors. This results in lower manufacturing costs, fewer errors that need reworked, and a greater likelihood that your project will stay on time. More expert eyes and hands on your project means a higher quality product in less time and with fewer unexpected costs. While adding engineering expertise may seem like an expense you can skip, the reality is that having more engineers does not mean more cost – more often, it means savings! When a team of engineers is managing your project’s design and manufacturing, odds are that more of the common pitfalls in your project’s timeline will be rooted out before you even get started. An ECM with engineering support will be looking at all the ways your design can be built to improve quality and precision, while also making sure that the design will not add additional time and expense once it hits the manufacturing phase. Engineering support on your project means a better project and one that is more likely to stay on schedule. This results in a project that completes its turn-around more quickly than projects that do not have the advantage of engineering support. If your goal is a project that gets from idea to finished product in quick order, look for an ECM that provides engineering support to streamline the entire process. In addition to faster processes, a team of engineers working on your project increases the project’s reliability. Again, the more expertise being applied to your project, the more reliable it becomes. In design, engineering support can assist in building a product that has fewer potential failure points. Additionally, engineering support during a design phase can help identify materials and parts that are more likely to perform better in your product’s environment. Without careful engineering, you could end up with a product that is well-designed for an indoor setting, even though it needs to operate in a harsh outdoor environment. If you need a product that will work well, when you need it to work, where you need it to work, ECM engineering supports are what you need to increase your product’s reliability. In the event that things do happen to go wrong with your project, it’s always best to have people who truly understand your project and your needs to help get them fixed. With engineering support on your project, the team will already know your product inside and out and can quickly assess how to get your project back on track. Having a team of engineers behind your product means that you don’t have to worry about reverse engineering or remanufacturing because the team of experts will be on hand to quickly get parts reworked and problems realigned. At Levison Enterprises, we proudly supply every project with a team of engineering experts. From design to manufacturing, we approach every project with years of experience and trained techniques for improving quality, reliability, and manufacturing productivity. Our team will look over your existing design and make suggestions that increase the reliability, efficiency, cost-effectiveness, and manufacturability of your project. This not only optimizes your production process, it also minimizes the need for troubleshooting or repairs further down the line. At Levison Enterprises, we offer engineering support that will improve your product’s turn-around time and reliability, with the goal of providing you with a quality product that will increase your bottom line. Contact us today and let's talk about your next project and how Levison can assist you.